Legendary goalkeeper Antoni Ramallets was at FC Barcelona from 1946 until after the European Cup Final defeat in Berne in 1961, the night the woodwork got the better of FCB. Not only was he blessed with amazingly agility between the sticks, but he was also a dashingly handsome fellow who achieved worldwide fame at the 1950 World Cup in Brazil, where Spain’s third place finish would be their best until they actually won the thing in 2010. Ramallets went to the tournament as just the third-choice keeper. But Guillermo Eizaguirre didn’t impress in Spain’s opener against the United States, so Ramallets got the nod for the second match versus Chile. His outstanding display in a 2-0 victory earned him the nickname of the Cat of Maracaná in the local press, and a place in the crucial deciding match against England. Legend has it that iconic radio commentator Matías Prats started calling him the ‘Winged Cat’ in that game, alluding to an unfortunate puss in Spain that had been born with strange wing-like protuberances on its haunches, and had become something of a celebrity in the country’s media. Despite all the furore in the group stage, Spain’s 1950 bid ended on something of a whimper. There was no knockout stage back then. Instead the four group winners contested a four-way round robin for the title. Spain were held by Uruguay and then Ramallets conceded six goals to a rampant Brazil side who were expected to go on and confirm the title by beating Uruguay in what was effectively the final. What happened next is what we all now know as the Maracanazo. Uruguay won. Back in Europe, Ramallets spent a decade as FC Barcelona’s first choice keeper, and some would say he was the best player to ever wear the number one jersey. 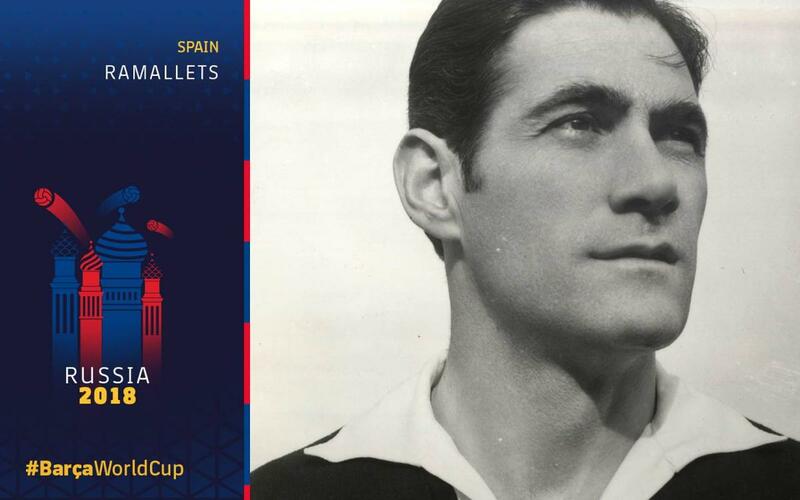 His massive 473 appearances included vital contributions to the famous season of the Five Cups in 1951/52, and he won the Zamora Trophy five times – a record that’d never been beaten, but which was equalled by another Barça goalie, Victor Valdés.